Success in producing a human embryonic stem cell line depends largely on the quality of the 5-d-old embryo (blastocyst) used. Such blastocysts are grown from frozen-thawed d 1-3 surplus embryos left over from infertility clinics and donated for stem cell research with informed patient consent. Knowledge, therefore, of the culture conditions and embryo scoring systems that are used to generate high-quality blastocysts are crucial. This chapter describes an extended microdroplet culture protocol using two-stage sequential culture media with morphological and polarized optical parameters for embryo scoring for each day of embryonic growth to help produce high-quality blastocysts. Key Words: Blastocyst culture; embryo scoring systems; human embryonic stem cell lines. pellucida. Empty zona pellucida aICM, inner cell mass; TE, trophectoderm. cleavage speed are the best markers correlating with quality of embryos (2,3). The following are the most reliable descriptions of markers used for each day of human embryonic growth in vitro (Table 1). Hoffman's inverted optics are used to determine that normal fertilization has taken place by visualizing the presence of two distinct pronuclei; mono-or multipronuclear embryos also divide to the blastocyst stage and may thus have the potential of producing hES cell lines (parthenogenotes and polyploids). There is a strong correlation between two pronuclear (2PN) scoring and blastocyst development (4,5). The markers for the best embryos on d 1 include (1) the abutment and proximity of the two pronuclei, (2) the alignment in vertical rows of the nucleoli of each pronucleus, (3) the appearance of a cytoplasmic clear halo around the pronuclei, and (4) the early appearance of the first cleavage (two-cell stage) (6) usually at 24-25 h postinsemination (Fig. 1A). (Fig. 1B). Grade 1 embryos have regular size blastomeres, no cytoplasmic fragments, and receive the highest score. Grade 2 embryos have regular size blastomeres and a moderate number of cytoplasmic fragments, whereas grade 3 embryos have irregular blastomeres and many cytoplasmic fragments. embryos with eight equal-size blastomeres and no cytoplasmic fragments (Fig. 1C) receive the second highest scores. Poor-quality embryos have many fragments and lesser blastomeres. On the morning of d 4, embryos are scored for complete compaction and the appearance of an early blastocoele (early cavitation). Fully compacted (Fig. 2B) and early and late cavitating (Fig. 2C,D) embryos receive the highest scores, whereas those embryos with slow cleavage, no compaction, and no signs of a blastocoelic cavity receive low scores. On the morning of d 5, embryos are expected to have reached the blastocyst stage. An embryo is defined as a blastocyst if it has a clearly laid down inner cell mass (ICM), a trophectoderm, and a single blastocoelic cavity. Three categories of blastocyst can be recognized: (1) early (Fig. 2E), (2) expanding, and (3) fully expanded (Fig. 2F). The main differences between the three categories are increases in diameter and thinning of the zona pellucida. Usually on the morning of d 5, only early blastocysts and late cavitating stages are observed, and these receive high scores. Expanding and fully expanded blastocysts are commonly seen on the afternoon of d 5 or morning of d 6. The graduated embryo score (7) or highest cumulative score from 2PN to blastocyst stage is used to select the best blastocyst for hES cell derivation with a high hit rate. The reliable markers for good quality expanded blastocysts that are used for hES cell derivation are shown in Table 2. Approximately 70-75% of high-quality blastocysts are usually obtained when good-quality sequential culture media are used. 1. THAW-KIT 1 (Vitrolife, Goteburg, Sweden; cat. no. 10067). Thaw solution 1 (TS1): 1.0 M PrOH and 0.2 M sucrose in Cryo-phosphate buffer solution (PBS containing 25 mg/mL human serum albumin [HSA]). Thaw solution 2 (TS2); 0.5 M PrOH and 0.2 M sucrose in Cryo-PBS. Thaw solution 3 (TS3): 0.2 M sucrose in Cryo-PBS. 2. GIII series medium (Vitrolife G-1 version 3; cat. no. 10091 and G-2 version 3; cat. no. 10092). 3. HSA solution (Vitrolife; cat. no. 10064). 1. G-ThawKit Blast (Vitrolife; cat. no. 10076). 2. 8, 6, 5, 4, 3, 2, 1% glycerol. Incubation medium (G-2 version 3 and HSA medium, Vitrolife; cat. no. 10092). aICM, inner cell mass; TE, trophectoderm. 3. Four-well sterile plastic dishes (Nunclon, Roskilde, Denmark; cat. no. 176740). 1. G-1 version 3 medium (Vitrolife; cat. no. 10091). 2. G-2 version 3 medium (Vitrolife; cat. no. 10092). 1. Prepare all paperwork. Identify name of patient and location of straw in liquid nitrogen (LN2) Dewar. Keep the straws immersed in LN2 until actual thawing. Label dishes for thaw solutions and pipette appropriate amounts of TS1, TS2, TS3, and Cryo-PBS. Thaw straws containing embryos one at a time. Perform all steps at room temperature. 2. Remove straw and air thaw for 30 s (see Note 1). 3. Place straw in a 37°C water bath for 30 s. Remove and carefully wipe. Cut the plug end of the straw with sterile scissors and attach it to a 1-mL syringe. Then cut the other end carefully without shaking straw or making air bubbles. 4. Gently expel the embryos into TS1. Observe the embryos coming out of the straw; if you do not see them all, quickly refill the straw and gently flush, because occasionally the embryos will stick to the sides of the straw. 5. Incubate the embryos for 5 min in TS1. 6. Gently transfer the embryos to TS2 for 5 min (see Note 2). 7. Transfer the embryos to TS3 for 5-10 min (see Note 3). 8. Transfer the embryos to Cryo-PBS for 5-10 min (see Note 4). 9. Place embryos into G-1 version 3 and HSA medium if embryos were cryopreserved on d 1 or 2 and in G-2 version 3 and HSA medium if cryopreserved at the eight-cell stage on d 3, and incubate at 37°C in a 5% CO2 in air atmosphere (see Note 5). Assess and record survival and morphology compared to prefreeze. Score embryos according to markers described earlier for d 1-3 (see Subheadings 1.1.-1.3.). 10. Human embryos are cultured in G-1 version 3 and HSA medium on d 1 and 2 and in G-2 version 3 and HSA medium on d 3-6. The medium is changed every 48 h. Each embryo is monitored and scored daily in the morning. See embryo culture protocol described in Subheading 3.3. 1. Label each well of four-well dishes as 8, 6, 5, 4, 3, 2, 1% glycerol, and two wells as incubation medium. 2. Pipet appropriate volumes (0.5 mL) of the thawing solutions into each well. Prepare also a separate dish with incubation medium. 3. Equilibrate the dishes at 37°C in a 5% CO2 in air atmosphere for 1 h.
4. Fill a large beaker with warm water (37°C). Identify name of patient and location of straw in LN2 Dewar. Prepare all paperwork. Keep the straws immersed in LN2 until actual thawing. Thaw straws containing blastocysts one at a time and perform all steps at 37°C. 5. Remove straws from LN2, and wipe the straw quickly with a clean tissue. Air-thaw straw for 30 s and watch the straw for leaks. 6. Gently plunge the straw into the beaker of water (37°C) for 40-50 s.
7. Remove and gently dry the straw with tissue. Cut off the heat-sealed end with scissors and attach to a 1-mL syringe. Cut the cotton-plug end with a sterile scissors and expel the blastocysts into the 8% glycerol solution. 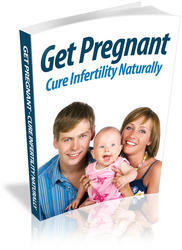 If the embryos are not seen, flush the straw a few times. Leave the embryos in the 8% dish for 5 min. 8. Transfer the embryos to the 6% glycerol solution for 10 min at 37°C in 5% CO2 in air. 9. Transfer the embryos to the 5% glycerol solution for 12 min at 37°C in 5% CO2 in air. 10. Transfer the embryos to the 4% glycerol solution for 12 min at 37°C in 5% CO2 in air. 11. Transfer the embryos to the 3% glycerol solution for 14 min at 37°C in 5% CO2 in air. 12. Transfer the embryos to the 2% glycerol solution for 14 min at 37°C in 5% CO2 in air. 13. Transfer the embryos to the 1% glycerol solution for 16 min at 37°C in 5% CO2 in air. 14. Rinse the embryos twice in incubation medium. 15. Transfer the embryos to the dish with fresh equilibrated incubation medium (0.5 mL) and incubate at 37°C in 5% CO2 in air. 16. Assess each embryo under the microscope. Compare the blastocyst quality with appearance at the time of freezing. Score the blastocyst according to the markers described earlier (see Subheading 1.5. and Tables 1 and 2). Culture of human embryos in microdroplets of medium (20-100 ^L) under oil can save on costs, help to maintain optimum osmolarity and pH, and control fluctuations in temperature. Daily monitoring and scoring of individual embryos are also easy, quick, and reliable. In vivo in the human fallopian tube, embryos grow in microdroplets of fallopian tubal fluid and because such in vivo conditions are simulated in vitro by using microdroplets of culture medium containing the optimal metabolic requirements for the embryo, high-quality blastocysts are generated (8). Knowledge of how coculture systems work by positive and negative conditioning (9) led to the evolution of sequential culture media. Human embryos are metabolically dynamic and their nutritional requirements change from day to day and from stage to stage. For example, early cleavage embryos require minimal glucose, whereas late blastocysts require plenty of glucose; for pyruvate, the requirements are the other way around. The antioxidant taurine is beneficial for blastocyst development, whereas hypoxanthine is detrimental. Late morula and blastocyst stage embryos require essential and nonessential amino acids, because transcription has commenced after genomic activation around d 3; these will be the building blocks for further protein synthesis. As such, to obtain optimal blastocyst development, early cleavage-stage embryos (2PN to four-cell stage) are grown in the first medium (G-1 version 3 and HSA), and from d 3 onward, when the genome is being activated, the embryos are grown in a more complex second medium (G-2 version 3 and HSA) that contain salts, energy substrates, proteins, amino acids, vitamins, and hormones (10). It is crucial when transferring embryos from new to fresh or from G-1 to G-2 version 3 and HSA medium that drawn-out pipets are used to avoid the dilution of the second medium with the first. Day 0: Gl-version 3 and HSA dishes are made for thawed d 1 (2PN) embryos. Microculture droplets (20 ^L) of G1-version 3 and HSA are placed in the wells of four-well or small Petri dishes and overlaid with sterile oil (Ovoil). Two separate rinse drops of G1-version 3 and HSA are made in the center of the same four-well dish or Petri dish. The dishes are incubated at 37°C in 5% of CO2 in air. Day 1: The thawed 2PN embryos are washed in the two rinse drops, before transfer to the microculture droplet. Each 2PN embryo is cultured individually in each microculture droplet and the dishes incubated at 37°C in 5% CO2 in air. Check the embryos once more at 24 to 25 h postinsemination to record the first cleavage (two-cell stage). 2PN and first cleavage embryos are scored according to the markers described earlier (see Subheading 1.1.). Day 2: (1) Each embryo is assessed for cleavage on d 2 and scored further according to the three grades (1, 2, and 3) based on fragmentation and regularity of blastomeres. There is no change of medium and the embryos are grown in the same G-1 version 3 and HSA medium. (2) G-2 version 3 and HSA dishes are made up for the following day. Microculture droplets (20 pL) of G-2 version 3 and HSA are placed in each well of four-well dishes or in small Petri dishes and overlaid with Ovoil. Two rinse drops of G-2 version 3 and HSA are placed in the center of the same four-well or Petri dish. The dish is incubated at 37°C in 5% CO2 in air. Day 3: On the morning of d 3, embryos are scored and transferred from G-1 version 3 and HSA medium into the G-2 version 3 and HSA culture dish prepared the previous day. The embryos are rinsed in the two central drops of the culture dish before transfer to the microculture droplet (see Note 6). The embryos are incubated at 37°C in 5% CO2 in air. Day 4: (1) On the morning of d 4, embryos are scored. There is no change of medium and the embryos are incubated in the same G-2 version 3 and HSA at 37°C in 5% CO2 in air. (2) Day 6 growth dishes containing fresh 20 pL microculture droplets of G-2 version 3 and HSA medium are prepared and incubated at 37°C in 5% CO2 in air. Day 5: (1) On the morning of d 5, embryos are scored using the blastocyst markers described earlier (see Subheading 1.5. and Tables 1 and 2). Good-quality expanded blastocysts with large ICMs generated from high 2PN scores are given priority when selecting embryos for deriving hES cell lines (11,12). (2) Remaining embryos that are slow in development are transferred to fresh 20 pL microculture droplets of G-2 version 3 and HSA medium made on d 4 and monitored until d 6 for further blastocyst development. Expanded blastocysts with large ICMs generated on d 6 can also be used for hES cell line derivation. 1. During this time, handle the straws carefully and examine them for air bubbles, cracks in the seal, and any leakage of LN2. 2. Note that embryos are osmotically stressed and have to be handled very carefully. 3. Handle the embryos very gently because their membranes will be very fragile. 4. Do not place in the CO2 incubator because the buffer capacity of Cryo-PBS is inadequate for the 5% CO2 atmosphere. 5. Human embryos are usually not frozen at compacted and cavitating stages. 6. Care must be taken not to dilute the G-2 version 3 and HSA medium with G-1 version HSA medium. 1 Edwards, R. G. and Beard, H. K. (1997) Oocyte polarity and cell determination in early mammalian embryos. Mol. Hum. Reprod. 3, 863-905. 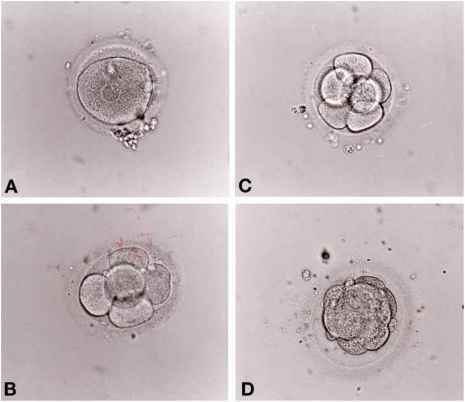 2 Bongso, A., Fong, C. Y., Mathew, J., Ng, L. C., Kumar J., and Ng, S. C. (1999) The benefits to human IVF by transferring embryos after the in vitro embryonic block: alternatives to day-2 transfers. Asstd. Reprod. Revs. 1, 70-78. 3 Fong, C. Y. and Bongso, A. (1999) Comparison of human blastulation rates and total cell number in sequential culture media with and without coculture. Hum. Reprod. 14, 774-781. 4 Scott, L. A. and Smith, S. (1998) The successful use of pronuclear embryo transfers the day after oocyte retrieval. Hum. Reprod. 13, 1003-1013. 5 Tesarik, J. and Greco, E. (1999) The probability of abnormal implantation development can be predicted by a static observation on pronuclear stage morphology. Hum. Reprod. 14, 1318-1323. 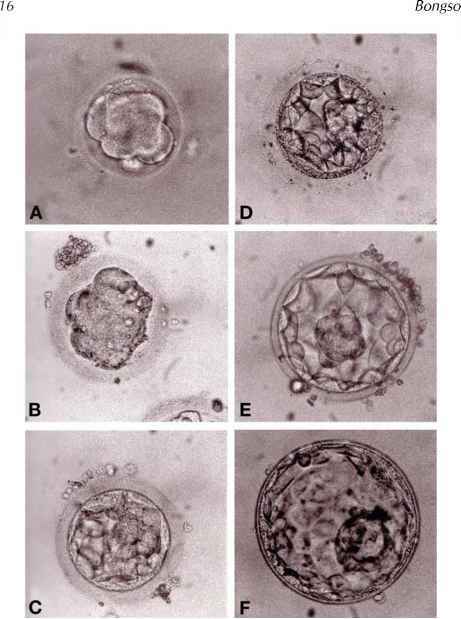 6 Shoukir, Y., Campana, A., Farley, T., and Sakkas, D. (1997) Early cleavage of in vitro fertilized human embryos to the 2-cell stage: a novel indicator of embryo quality and viability. Hum. Reprod. 12, 1531-1536. 7 Fisch, J. D., Rodriguez, H., Ross, R., Overby, G., and Sher, G. (2001) The Graduated Embryo Score (GES) predicts blastocyst formation and pregnancy rate from cleavage stage embryos. Hum. Reprod. 16, 1970-1975. 8 Bongso, A. (1999) Handbook on Blastocyst Culture. Sydney Press Induspint (S) Pte Ltd, Singapore. 9 Bongso, A., Fong, C. Y., Ng, S. C., and Ratnam, S. (1994) Blastocyst transfer in human in vitro fertilization: the use of embryo coculture. Cell Biol. Intl. 18, 1181-1189. 10 Gardner, D. K., Vella, P., Lane, M., Wagley, L., Schlenker, T., and Schoolcraft, B. (1998) Culture and transfer of human blastocysts increases implantation rates and reduces the need for multiple embryo transfers. Fertil. Steril. 69, 84-88. 11 Bongso, A., Fong, C. Y., Ng, S. C., and Ratnam, S. (1994) The growth of inner cell mass cells from human blastocysts. Theriogenology 41, 161. 12 Bongso, A., Fong, C. Y., Ng, S. C., and Ratnam, S. (1994) Isolation and culture of inner cell mass cells from human blastocysts. Hum. Reprod. 9, 2110-2117.